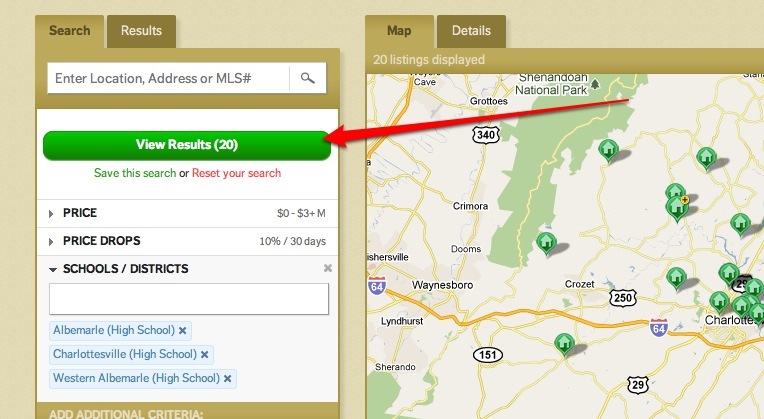 Everyone’s looking for price reductions in the Charlottesville real estate market. And they’re definitely out there. One of my favorite searches is the one I set up that sends me results via RSS for homes with at least a 10% price reduction over the past 30 days. Save the Search. This is important. Figure out how you want the results delivered to you – email, RSS. Why register to save? As always, if you have questions, please contact me anytime. Five steps are every important especially save that search is too.. Thanks for sharing this steps..